We have all heard about it on the news, read about it in magazines and talked with friends that are dealing with it. But, what happens when it starts to affect you in a more personal way. What happens when a close loved one begins dealing with one of these life changing diagnoses? First of all, remain calm. All of these various challenges have many stages. In general, each stage of the illness takes time to progress. You have time and your loved one has time to prepare and to make thoughtful decisions about how to handle the future, whatever that entails. Next, take some time to do your research. Find the right memory care strategy for your family member. Talk with others who have experienced something similar. Join a support group for those who are currently walking this path. Do internet research to find out as much as you can about the illness and what you can do to make it a smoother transition for you and the one you care about. 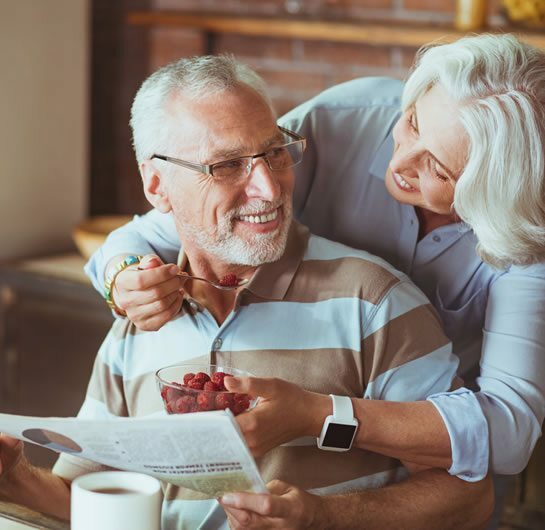 Make sure that you are not alone in the process of elder care and that your loved one understands (as much as is possible) the things that may begin happening to them so that they can be prepared. Come up with a long term plan of care. You may be willing and able to help them in the stage of memory loss that they are currently in. At some point, you may become unable to help them in a way that is safe for both of you. Do not feel guilt or regret about this simple fact, but prepare yourself for if and when it happens. There are many options available to your loved one. Consider assisted living for dementia patients. Research Alzheimer's care facilities. The sooner you have a plan in place, the more peaceful the process becomes. The future only holds transition at that point, instead of fear. Your loved one will be cared for in the best way possible when you've taken the time to thoughtfully plan it out with them. Finally, remember that whatever the future holds, you've done the best you can for your loved one. Rest in the knowledge that your care during this process has made a positive impact on the quality of life that they have and enjoy the time that you have with them.